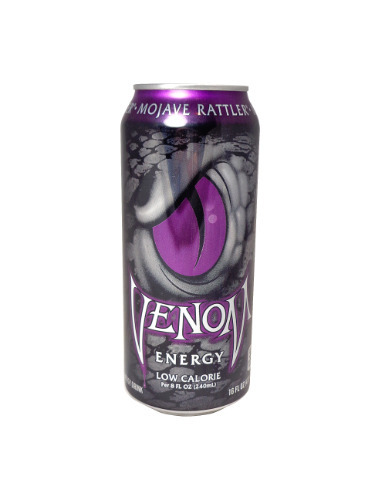 FRESH 16oz Venom Mojave Rattler Low Calorie Grape Energy!!! When you want the energy to succeed where only the leanest and meanest survive, you need the penetrating venom of Mojave Rattler. Take on the world with the ultimate payload of Taurine, Guarana, L-Carnitine, Ginseng and B vitamins.